Decided to go with Mini-ITX because of space efficiency. What's up with the $0 items? Purchased the case, power supply, 3 case fans, and flat cables as a used bundle from eBay for a total of $134.99, so I just labeled the case as $134.99 and $0 for the power supply and 3 case fans (actual prices are around $70 for the case, $120 for the power supply, $16 for the JetFlo fan, and $6 each for the 2 SickleFlow fans). 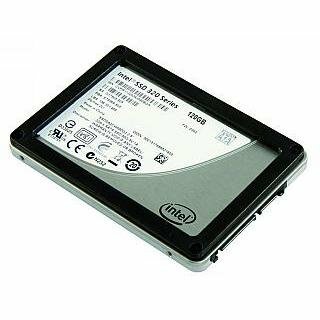 The old Intel 330 Series 120 GB SSD was the first SSD I purchased back in 2012 and the monitor is the one I have been hooking my laptop up to since 2014. First time building a PC so I tried to be meticulous; took around 3 hours to assemble everything even though I had previously watched videos on how each component was to be attached. After manipulating the wires to hide most of them from view and help airflow, I screwed everything down tightly and pressed the power button...And a bootloop ensued. I opened up the case, began randomly touching stuff and found out my RAM was not snapped all the way down (got lucky as RAM was the first component I checked). Computer booted fine afterwards and I started breathing again. Overclocks well, decent temperatures. Using this mainly for CAD & gaming, and since I do not run simulations or render images very often I decided to go with the i5 instead of the i7. Price was OK, purchased new from Jet for $206.02. Only 1 mm higher than the stock Intel cooler, the C7 packs 4 6 mm heat pipes and a 92mm fan into a nice 62 g package with no overhang which allows for RAM modules with greater height dimensions. The fan draws 0.2 A and runs from 600-2500 RPM with a max noise level of 30.0 dbA. Price is very good as well, purchased new from Amazon for $29.99. 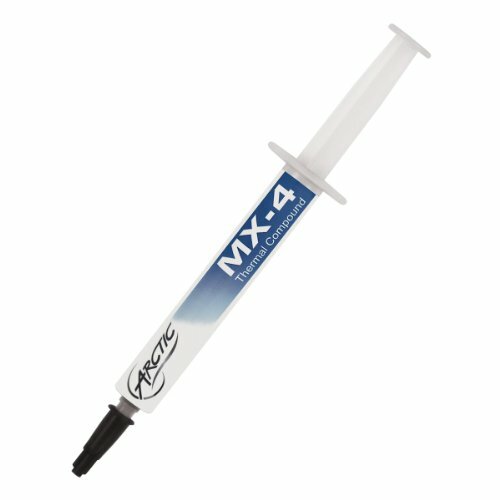 Excellent temperature reduction, easy to apply, non-conductive, and rapid curing. Great price, purchased new from Amazon for $7.23 as an add-on item. Dual Intel WiFi RJ45 ports, 1 USB 3.0 Type-C port, 4 USB Type-A AC wireless + Bluetooth 4.2, 6 SATA 6 GB/s connectors, 2 SATA Express, DDR4 up to 3200 MHz, M.2 80mm slot, well designed BIOS interface, decent motherboard software, and ability to overclock all at a decent price point. 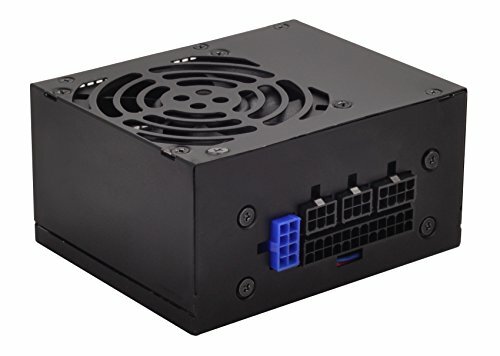 Only downsides are no USB 3.1 and the SATA Express ports sitting 90 degrees to the motherboard may be difficult to connect to after securing the motherboard in some cases. Bargain price, purchased used from $108.16 from an eBay seller who only briefly used the motherboard for testing purposes. Low-profile design and strong performance. Decent price, purchased new from Jet for $60.72. Still going strong after 4 years; first SSD I purchased in 2012. Hitachi's hard drive durability is excellent, I have not had a Hitachi hard drive fail on me yet (Seagate on the other hand...). Price was great, purchased refurbished from eBay. Sturdy plastic + aluminum construction, although plastic near corners may crack if under larger stresses (e.g. from hard drop impact). Also, the placement of the power supply cable's female end may interfere with graphics card depending on graphics card size (quick fix is to pull the cable so that the female end sticks out of the case). Bargain price, purchased used as a bundle with power supply, case fans, and flat cables from eBay for a total of $134.99. Cool blue LEDs, cheap price, and decent noise level (19 dbA). Uses M5 screws for securing to case. Cool blue LEDs, 2 adapters for quiet (fixed 1600 RPM)/silent (fixed 1200 RPM) operation, good speed range (1200-2000 RPM). Uses M5 screws for securing to case. 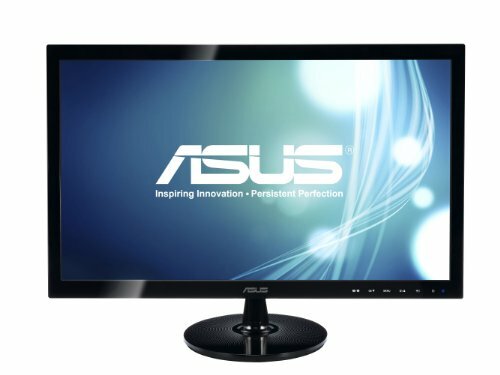 Purchased 2 years ago (2014), decent monitor for a decent price. Thank you, I breathed a sigh of relief after everything was inside the case. Well done, what kind of temps do you see with that cooler when gaming? Anywhere from around 67-74 depending on the game running. I love the new GPUs with PWM headers. It makes too much sense. I had to drill holes in the GPU shrouds to add such functionality for my GPU PWM splitters because they were so rigid but damn it was worth it. Having your fans only spin up when playing those games is a beautiful thing. Yes, the PWM headers on the GPU is a logical step indeed. Too bad you needed to drill holes in order to use your headers! Glad it was worth it though, it gets me every time when I see the fans spin & light up. It's always function over form for me so it wasn't a big deal. Indeed, words of wisdom to live by. 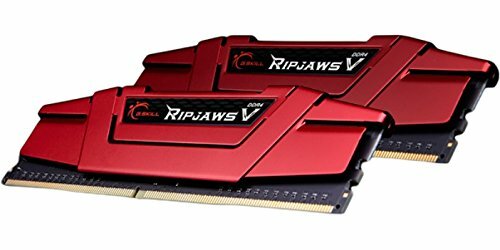 How much would you say this build would cost if you had bought all the parts at regular price? I'm thinking about investing in this. I'd say around $1340-1350 if you paid the regular price for everything. Here's the part list without custom prices: http://pcpartpicker.com/list/ZPxY9W. I'd recommend taking advantage of Jet.com's first time customer 15% off first 3 orders (-$30 dollar max so try to keep each order around $200), although make sure your orders are finalized since if you cancel an order the 15% discount coupon used with the order will be consumed (I found this out the hard way). Okay so I modified this a bit based on my needs: http://pcpartpicker.com/list/sYKBjc I omitted the monitor and added the EVO 500gb SSD as well as windows 10. Now here's my question. Will the Evo fit, and also what is the expansion room like? I might add more RAM at some point in the future. The EVO will fit as it is a 2.5" SSD and there are 2 2.5" slots in this case. There are 2 slots for RAM on most Mini-ITX motherboards so if you were thinking of having 4 sticks of RAM in total that would probably not be possible. If I changed the case to a nicer looking one would it work out? Depends, you should probably check the case's specs first. Thanks! Fortunately it was a simple fix; no problem. I really hope you are still looking at this but could you help me out ? I have this same case and I have been in the market for a new video card. I have the 980 ti sc from evga. I really want to upgrade to a 1080 gtx from evga and just found out they are having overheating issues. I then looked at the asus 1080 gtx but got concerned about the height of the video card and if it would fit. Your 1070 looks almost like the same size as the asus 1080. Did you have any issues getting it to fit with the bracket that keeps it from sagging ? Sorry for the late reply, I have not been on this website in a while. I did not have any issues getting it to fit within the bracket; it was a pretty snug fit and I adjusted the L-bracket's position towards the center of the card to prevent sagging. hey thanks for at least giving me a heads up. Its goo to know that it fits right. I am amazed you got it by that internal power cord. No problem! It was indeed a tight fit, I even had to push the internal power cord out slightly to get it to fit. 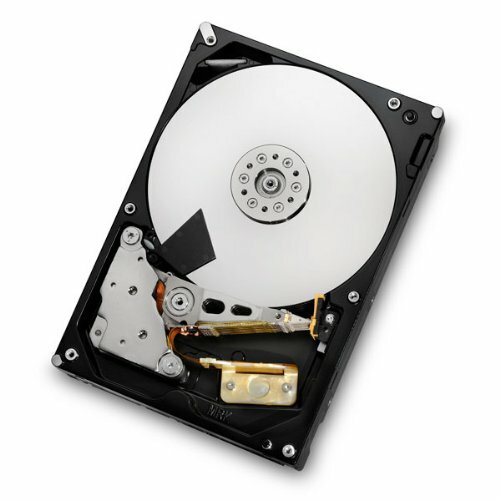 How do you find the temps on the HDD? I've heard that 7200rpm drives aren't recommended but figured a lot of intake fans would compensate. 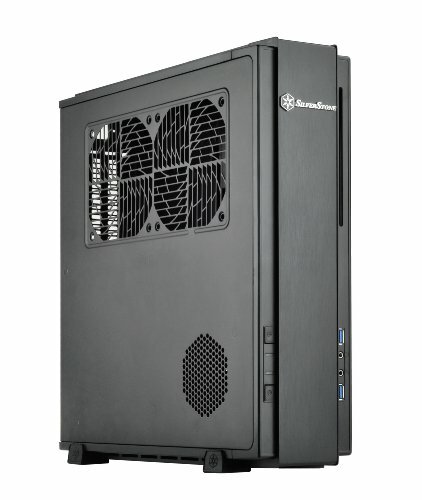 I ask because I'm looking to get this case and use my 4tb Toshiba 7200rpm drive as this is one of the few slim style cases that supports 3.5"
No problems with the temperatures so far; even though the 3.5" slot sits on the PSU bracket the vent & silent fan on the PSU do a pretty good job. Highest I have ever seen it get up to is around 34 degrees.